The octopus is a creature that captures our imaginations. It has been doing so for thousands of years across many different cultures. 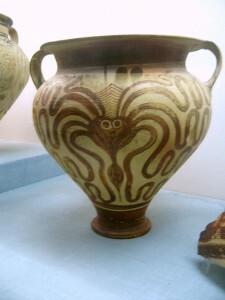 Octopi were a common motif on pottery in ancient Greece and beyond. 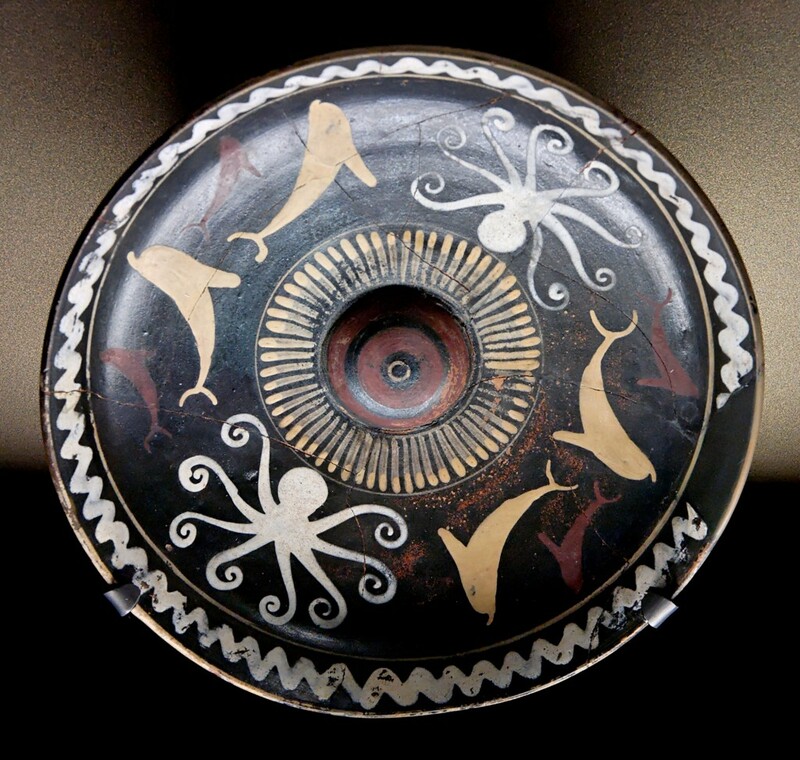 This bowl, used to hold libations, was created around 500 BCE in Eritrea. Wikimedia. This Greek vessel from the 14th century BCE was decorated in the style of the Minoans, the civilization on the Island of Crete that preceded Greek culture. Photograph by Molly, via Wikimedia. Octopi also made appearances in other historical art pieces, such as this woodcut from 18th Century Japan. 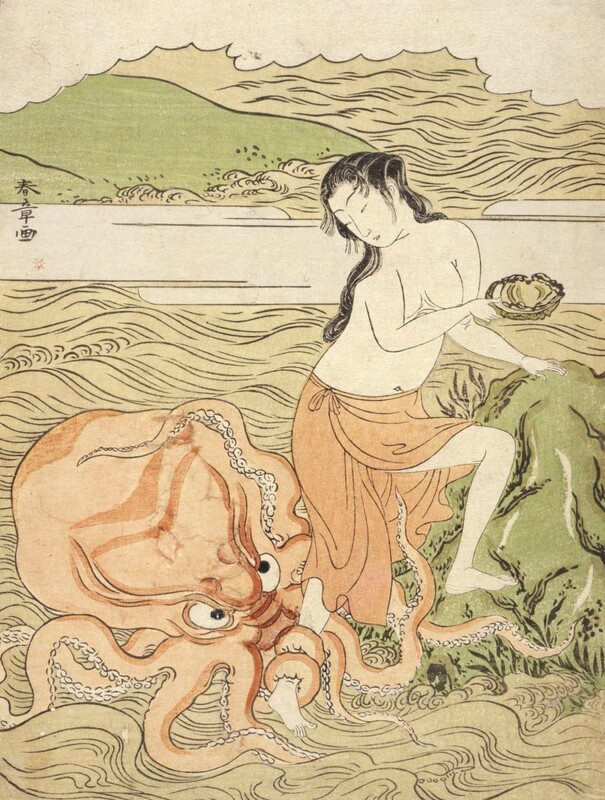 This woodcut by Japanese artist Katsukawa Shunshō titled “Abalone Fishergirl with an Octopus” was created between 1773 and 1774. (It’s now property of the Los Angeles County Museum of Art. 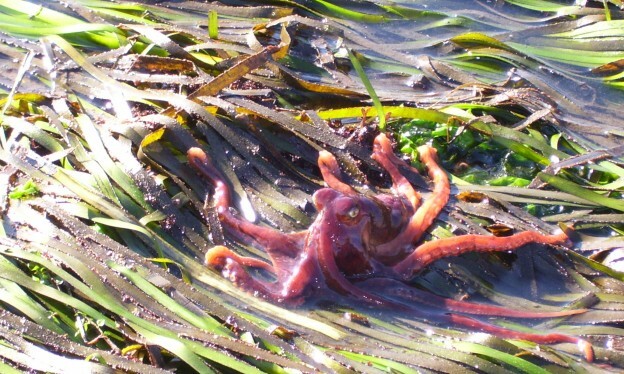 While the mimic octopus is native to South East Asia, Morro Bay is home to the California two-spot octopus (Octopus bimaculoides). These cephalopods can be found from central California to northern Baja California. They can grow up to three feet long, including the length of their body and tentacles. They have two spots on either side of their head that may look like eyes to approaching predators, making the octopus seem like it’s always on the lookout. The two-spot octopus feeds on snails, clams, crabs, and small fish. Once they have caught prey with their sharp beak, they secrete a toxin into it through their salivary gland. The two-spot octopus lives only a couple of years. The male dies shortly after mating, but the females fertilize the sperm their mate has deposited in their body cavity before brooding over the eggs for two to four months. They do not feed during this process, and they die right around the time that the eggs hatch. In the time-lapse video below, you can watch a female octopus tend to her eggs as they develop and hatch. This week is Cephalopod Week, which makes it a great time to learn more about octopi and their cephalopod cousins including squid, nautiluses, and cuttlefish. Subscribe to our blog at MBNEP.org/blog to keep in touch. Donate to the Estuary Program to support our work.